Steven Phillips (Albert Brooks) is a Los Angles-based screenwriter. He is battling the bizarre, corrupt and nepotism-filled system of contemporary Hollywood. 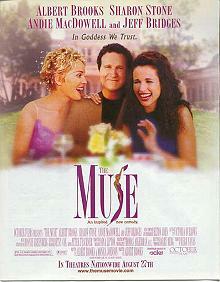 His life changes when he discovers his muse (Sharon Stone), as does his wife and a good chuck of Hollywood. Walk-ons, cameos and an indepth knowledge of modern Hollywood can't bring this extended in-joke to the level of a truly amusing and engaging film. Instead, it works hard to be strained and ordinary. Sad really.